Finding healthy snacks for my family always seems like a struggle. Fresh fruit and vegetables are always the best option but with the prices of things these days it’s not always possible to keep the fridge stocked year round with them. Most of the time I find my family digging through the pantry trying to find something to eat but sadly many of the options in there aren’t healthy options. Then I was sent a selection of Old London Melba Snacks from mom Central and I decided I was going to replace these snacks with the ones in there and see how things went. To my surprise there were no complaints and no whining. The Spicy Cheddar Bagel Chips were by far the favorite. I really liked the Whole Grain Toast. I am a “snacker” by habit and usually many of the things I chose aren’t always the smartest options. I like things that are in serving sizes and pouches and the Melba Toast has packages with 5 toast pieces inside the box so you can grab them and eat properly. Plus, they make great on the go snacks! Not only can you eat them just how they are but if you visit the Old London website you’ll find lots of recipes using the Melba Toast! They have lots of choices and they aren’t just snack foods like Atlantic Salmon Bites and Cheesy Quesadilla Dippers but there are even yummy dessert options like Apple “Pan Strudel” with Dried Cherry Puree and Chocolate Pistachio Crunch! So who says dessert has to leave you feeling guilty? Plus, make sure to enter the Aloha Old London Contest!! You can find all the details out on the Old London Facebook page. 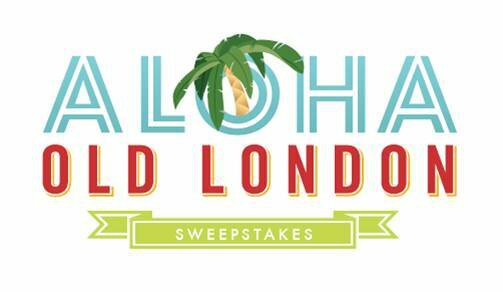 Old London will send one lucky winner and a guest on a once-in-a-lifetime vacation to Oahu, Hawaii. While soaking up the beautiful Hawaiian sunshine, experience everything this tropical paradise has to offer with surfing lessons, dinner for two at Tropics Bar & Grill, spa services at the Hawaiian Lomilomi Massage at Mandara Spa, private cooking lessons at the Chef Mavro restaurant and Two Alii Luau packages at the Polynesian Cultural Center with admission to “PCC, Alii Luau and Ha: Breath of Life” evening show. The four-day, three-night, all-expenses-paid experience also includes air travel and accommodations at the Hilton Hawaiian Village Beach Resort & Spa. Doesn’t this contest sound amazing? I would love to win this. I couldn’t even imagine enjoying all that pampering! To enter you’ll have to first like the Old London Facebook page, then click enter sweepstakes at the top bar on the contest page and enter your basic information. That’s it! 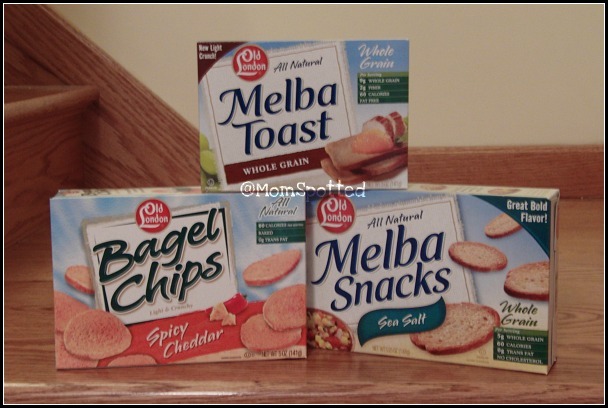 Don’t forget to pick up a box of bagel chips or Melba Toast from Old London on your next trip to the grocery store! Those spicy cheddar bagel chips look really good! My mom and I are huge fans of bagel chips. I’ll be on the lookout for these. Yum! The sea salt one look yummy! I don’t know why I have been craving salty stuff lately. Thanks for the review and telling us about their contest. I entered!